About a year Nomad Health got in touch with me and asked whether I would review some of the their pasta. About 6 months later Fodify Foods gave me some of their sauces and spice mixes to try out. In the last few months I have finally made the time to actually try out all these products, make recipes, photograph them and write up my review for you. I find the Nomad pasta exciting because these pastas are not only gluten free, they are grain free. It’s not often that you find a free from pasta that is free from the usuals of potato starch and rice flour. Not that they’re bad per se, but I find they are sometimes heavy on my stomach and I know that they sometimes provide trouble for others. Seeing as I had pasta to try out, I had to make a sauce to go with it. Fortunately for me, I didn’t have to work very hard because the lovely ladies at Fodify Foods had given me a Tomato Pasta Sauce to try. What’s special about this sauce is that it has no added sugar or salt and it is low FODMAP. Most of the time with sauces, garlic is a key ingredient, however for those following the low-FODMAP diet garlic is a no-no. For this dish I wanted the recipe that would show off the sauce, be low-FODMAP and an easy to follow. I had some beef mince in the fridge so I decided meatballs would be perfect. If you have any fresh basil or parsley, it goes great with this dish. I think this pasta sauce is a really great base sauce. Ideal for herb-ing up as you like! So without further ado, let’s make some dinner! Put the mince meat, basil, oregano, parsley, mustard and salt in a bowl and use your hands to mix them together so that the herbs and mustard are evenly distributed in the mince. Now take some mince and roll into a ball. You should be able to make 14 meatballs. Heat a little oil in a sauce pan until hot. Fry the meatballs in the pan to brown on all sides. Once browned place in an oven proof dish. Continue until all the meatballs are browned. Now pour the jar of Fodify pasta sauce over the meatballs. Use a couple tablespoons of water to rinse out the jar and add to the dish. Put your meatball dish in the oven and bake for 25-30 minutes until cooked through. When the meatballs have 10 minutes to go. Cook your Nomad Foods Fusilli Pasta as per pack instructions. Serve with a sprinkling of fresh basil and enjoy! Click for other gluten free recipes. Click for other dairy free recipes. Click for other lunch recipes. Click for other soup recipes. Recipe book GIVEAWAY – Chocolate Treats free from the top 14 allergens!! Ends Sunday! Back before Christmas the lovely ladies, Janet and Hannah from Fodify Foods sent me a selection of their products to sample. This time round I whipped up a quick and easy dinner using their Moroccan Spice Mix, and I have to say it went down a treat! Now personally, I and everyone in my house don’t need to eat a low FODMAP diet, but I was up for the challenge. Especially with janet and Hannah’s spice mixes to ease the transition! When putting together this dinner I wanted to create something that could be done with very little. A type of the ‘cupboard is bare’ meal but you wouldn’t know it. I also wanted to make sure that I kept my cooking time down. As an avid home cook and foodie, I can happily spend a couple hours on one dish, however for the working person, and if you’re knew to the world of free from, this is not really what you want. This recipe will take you 30 minutes to cook from start to finish, it is really easy and incredibly yummy. My chief taste testers have no allergies or intolerances and they couldn’t tell there was no onion, garlic, gluten and dairy. In fact, they asked for more! So without further ado, here is my quick Moroccan Spiced Chicken Recipe! Heat a dash of olive in a medium sided frying pan. Add the cumin seeds and bay leaf and fry until you hear the cumin seeds start to sizzle. Add your diced chicken breast to the pan and stir. Fry until the meat has turned white on all sides. Now add the Fodify Foods Moroccan spice mix, dried thyme, tomato puree and mix. Add a dash of water as needed to create a sauce. Then turn the heat down to simmer, cover with a lid and cook for 15-20 minutes until the chicken is cooked. *If serving with roasted vegetables, preheat your oven to 180C, cut your vegetables into bite sized chunks, drizzle with some olive oil, season with salt and pepper and roast for 30 minutes. *If serving with rice, put the rice on 15 minutes before the chicken is ready. Cook the rice per pack instructions. A few months ago Schar were kind enough to send me a huge box of their new range products; Viennese Whirls, Chocolate Chip Buns, their new Sourdough and their American Style Burger Buns. Now if you have burger buns, how can you not make burgers to go in them!! Thank you Schar for giving me an excuse to make a whole load of burgers. When it comes to living with allergies, in the beginning it can be difficult to find foods that are quick, easy and tasty but burgers are one of my go to quick dinners, show stopper BBQ editions and lunchbox fillers. Burgers are fantastic hot or cold and so versatile. You can make them out of practically any mince meat and get creative with herbs and spices galore! What’s more it is incredibly easy to make them gluten free, dairy free and egg free! They could be top 14 allergy free if you wanted, not to mention low-FODMAP. I’ll have more burgers recipes coming your way because I just love to experiment and as I said they are such a great meal for those with allergies. Last time it was Lamb Burgers with a side of Spring Greens this time i went for something a bit spicier and what a treat to have burger buns to go with. These buns are packed for long life in sets of 2, ideal if its just one or two of you eating gluten free. I personally love to toast my burger bun to add a crunchy side. These buns grilled really well. The flavour was just a plain burger bun which was great because then you can add condiments and any flavour of burger! Sky’s the limit! Perfect for a summer BBQ or to enjoy for dinner any day of the week! If you need egg-free, simply omit the egg from this recipe, I promise it’ll taste just as good. In a bowl beat the egg, mustard and dried spices, herbs, salt and pepper. Beat until it has all been evenly mixed and there are no lumps of powder. Now add the beef mince. Use your hands to bring the burger mix together so that the beef is covered in your seasoning. Now a handful of mince and flatten into a burger shape. Place your burger onto you grill rack. Continue to make burgers until all the mince has been used up. You should make about 10 burgers. Now place your burger filled grill rack right under the grill. Grill for 8-13 minutes on the first side and then turn over and grill the second side for a further 8-10 minutes. If you want rare burgers, cook for 8 minutes on each side. If you would like more well done, cook for longer on each side. Make sure the burger is piping hot in the centre, even if you are having it rare. Now slice your burger buns in half and place under your grill to toast the inside of the buns. Grill for 3-5 minutes until golden brown. Now it’s time to serve up! You could have a simple burger in a bun, or why not adding some mustard or tomato chutney? Check out these great veggie side dishes too Pan-Fried Marrow and Sweet Potato Fries. Not only was I exhibiting at the Allergy & Free From Show 2017, I also love seeing what it is new in the world of free from food and the Allergy Show is the perfect place to do this. I’m really excited by some of these companies products! Not only were they delicious but many are started by people who get it. So with out further ado, here is the round up of my favourite products from the show! The Saucy Affair Raw Sauce Co puts the sass back into the evening. Whether you’re a busy mum, the nonplussed cook, or wanting to serve up a saucy dinner date, you want to know about this company and their saucy sauces. Run by a lady in a long black evening gown and a masquerade mask, as soon as you approached this stand, you got the feeling there was something special here. As a foodie, I love to try new flavours. I get irrationally excited about bright colours and exotic smells. I tried every single flavour multiple times (there were 6) and I didn’t get bored. I personally don’t like using pre-made sauces, most of the time they’re fine hot but rubbish cold or if you eat too much they leave a funny taste in your mouth. Not the case with these sauces. They tasted fresh! I had to admit, I was surprised. What surprised me even more was the ingredients list, fresh fruit and vegetables were used! Barely a tomato in sight AND extra virgin olive oil was on the list! I could go on, and I will, but I’m saving my full review for a post of its own. Watch this space for a full post and my throw it together dinners featuring these sauces! I love the name of this company: Forced to be Fussy. I think it sums up what it’s like to have food allergies, intolerances and dietary restrictions. Forced to be Fussy is run by Jenna, a lady with multiple intolerances such as gluten, barley, various nuts, crustaceans and more. She has started a company making allergy friendly baked treats. Gemma was kind enough to ply me with a slice of lemon loaf, a huge chunk of sticky chocolate brownie and a slice of rocky road. For me this was exciting because being allergic to peanuts and tree nuts, and intolerant to gluten and dairy, even at an allergy show there was not much I could eat. But I could eat these!! Chocolate Brownie: My favourite treat out of the three. I devoured this as I was waiting for a train and had barely eaten all day Sunday during the show. It definitely hit the spot. More of a sticky cake brownie and I liked it! There was a fudgy chocolate topping and I was happy to taste that it wasn’t too sweet. I wouldn’t object to an even richer chocolate flavour but that’s my chocoholic preference. Rocky Road: Great textures! I loved the crunch of the biscuity things, the squidgy marsh mallow and glace cherry textures, they worked really well together. For me I’d prefer a less sweet version, perhaps using a darker chocolate made with xylitol to counteract the sweetness of the marshmallows and glace cherries. Ideal for kids or adults with a sweet tooth. Lemon Cake: This was tested by my chief taste tester the Monday after the show. It had sat in my bag for almost a day. Sorry Jenna, not presenting your work at its best. However initial thoughts were it felt like it might be stale, but… it didn’t taste like it! Still had a good cake texture. Had a lovely light lemony flavour. It tasted more lemon than it smelt. Chief taste tester gave his approval! Leggero was suggested to me by Vicki Montague (The Free From Fairy) on Sunday of the show while I was trying to find something to eat. She said they had a great allergy friendly focaccia bread, and oh boy did they?! They had some samples out of the roasted mediterranean vegetable focaccia and I was sold on that first bite! Vicki said it would be good but I wasn’t expecting it to be that good. The vegetables were sweet and fresh, the bread itself was spongy and moist, delicious! It was also free from gluten, wheat, nuts, peanuts, eggs and dairy and other allergens too! To show my appreciation I voted with my money and bought one of their huge slices immediately, and at £3 I thought it incredibly reasonable. It was only after I bought a slice I found out they were a restaurant! A gluten free Italian one at that too. I had a quick chat to one of the guys working the stand and he gave me their business card, which came in a really pretty oyster card holder. It was while I was on the train that I realised what a perfect idea this was. I had been meaning to buy a new holder for my oyster card (which used to be held together with sellotape, but had split ages ago). The Leggero business card is still in the holder with my oyster card to remind me to go have a meal there next time I’m in London! 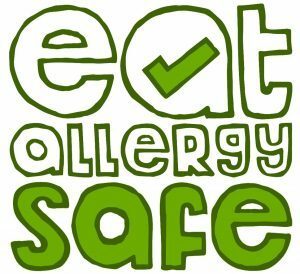 Functional Foods Company is run by Alessandra Bester who is out to combine allergy safe and superfoods. She is an inspirational lady who has developed this delicious treats through helping her autistic son eat again. At the show she sampling her delicious citrus truffles. They were absolutely delicious. She gave me a little box to share with my Mum containing all the new treats. I have to say they were bursting with flavour! From citrus to rose flavours, it was summer and spring in a box! I am not usually a fan of rose flavour either but I was pleasantly surprised by this one. Alessandra is also an incredibly motivated and warm person, I can’t wait to see how her company develops over the next year! Plamil Foods So Free Chocolate is the new branding of Plamil chocolate. I have been a fan of Plamil for the last 7 years when I discovered that they made chocolate in a nut free factory. Their past chocolate bars were ok, but often had a powdery texture. I still enjoyed them and bought them but I have to say, they have really up-ed their game with the new So Free bars! They have fixed the texture problem, the chocolate is now incredibly smooth and a pleasure to experience the melting on your tongue, the flavours are brighter and it is just like eating one of the big brand chocolate bars like Lindt. I also love their new branding. It is adding a sexiness to allergy friendly chocolate that I haven’t seen in the allergy niche before. Well done Plamil!! Newburn Bakehouse, the free from arm of Warburtons, have been really innovating when it comes to their free from product selection. I was given a packet of their gluten free crumpets to try. When I was eating wheat and gluten, I wasn’t big fan of crumpets. I always thought they tasted a bit weird. The only way I would eat them was if they were very toasted. As such my expectations for free from crumpets were kind of low. On the Saturday of the show I was so hungry that I just needed a quick snack, the only thing I had available were these crumpets, so I thought, I’ll just eat one of these for now. I was quite surprised I liked them. I like them better than wheat flour crumpets! Pleasant spongey texture, mild flavour, reminded me of a think kind of pancake texture. I enjoyed them so much I had them toasted with me breakfast the next morning. I am impressed by Genius. I like their bread and think it is some of the consistently better textured bread that has been on the supermarket shelves over the last few years. I interviewed Genius founder Lucinda Bruce-Gardyne on the podcast a few months. Hearing the story of Genius makes you realise that even though it’s one of the bigger companies it still has a similar story. For Lucinda her sons are her inspiration. When she found out her youngest was extremely intolerant to gluten, she got in the kitchen and started experimenting. I didn’t get to try as much as I wanted of their new products, but what impressed me is that Lucinda’s staff understood cross contamination risks. They knew about the allergens on their stand, unlike some others I had visited. I was offered some of their blueberry muffin to try. So as a good allergy kid, I asked about whether they had nuts in or not and if they had been cut in the same place as the nut containing biscuits being sampled. I was very pleased that immediately I was told, no. The biscuits were cut up at the front in their own special area and the muffins where chopped in the back kitchen with separate knives and boards. No hesitation, and this made me feel a lot better, both about the company and about trying the product. The blueberry muffin was also very yummy, light texture and not too sweet. In this recipe I am using the Fodify Foods Thai Stir Fry Mix. A totally FODMAP friendly meal, really simple to put together and delicious to eat. Now this obviously isn’t a stir fry, but the mix is versatile enough to create a South East Asian herby crust on a baked salmon side. It was delicious and had a resounding munch of approval from our dinner table. Another bonus is that this dinner was made in 30 minutes flat! With very little hands on preparation or tending to during cooking. Not only the versatility of the mix or the ability to create delicious meals in a jiffy, this recipe is also incredibly allergy friendly! To check out my review of all the Fodify Foods products, click here. Preheat your oven to 180C. Put your cut vegetables into a baking tray, season with freshly ground sea salt and black pepper and drizzle with olive oil. Stir the vegetables so that they are all evenly coated with oil. Now pop into the oven on a high shelf and roast for 30-35 minutes. Now prepare your fish fillets. Drizzle a quarter of a teaspoon of oil over each salmon fillet and rub in slightly. Now sprinkle the Fodify Foods Thai Stir Fry her mix over the top of your fish fillets. Try to make sure they have an even covering. Put your fillets in a baking dish and cover the dish with foil. Pop into your oven on a middle to low shelf and bake for 15-20 minutes or until the fish is cooked. Serve up and enjoy a super quick and delicious low-FODMAP meal! Have you tried any of the Fodify Foods Spice mixes or sauces? Leave me a note below in the comments section and let me know what you thought.